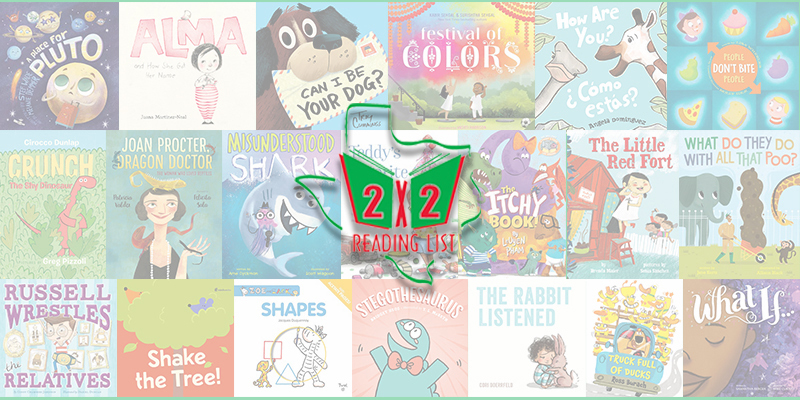 The Children’s Round Table (CRT), a Texas Library Association unit, is pleased to announce the 2019 2×2 Reading List. This carefully curated list includes 20 titles recommended for children age two to grade two. Designed to encourage independent reading, the 2×2 list can be used by parents, caregivers, and teachers to introduce children to a variety of quality books. The list is developed each year by a committee comprised of eight CRT members who are actively involved in delivering library services to children. Each year, committee members read, on average, over 700 books to find excellent books that will excite readers, are visually appealing, and appropriate for both content and intended age-level. The list seeks to include diverse outlooks, stories, genres, formats, genders, geographic environments, ages and ethnicity.